Congratulations to you as we bring to your notice the result of Real Campo Free Award promotion. 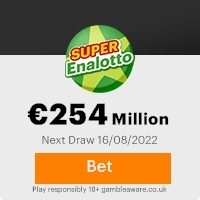 We are happy to inform you that your email addresses have emerg ed a winner of Five Hundred and Fifty Thousand Euros (550.000.00) Euros. PROMOTION DATE: 9th of January 2007 . Please note that you will be required to pay for the issuance of your legal back up legalization/notarization document in court. Congratulations once again from all our staff and thank yo u for being part of our promotions program Happy New Year. Previous: FIRST 2007 AWARDSFresh ScamsNext: YEARLY AWARD RELEASE!!!!!! This Email with the Subject "ONLINE PROMOTION AWARD 2007" was received in one of Scamdex's honeypot email accounts on Sat, 13 Jan 2007 06:35:29 -0800 and has been classified as a Generic Scam Email. The sender shows as fernando Rita <Ritafernando@web.de>, although that address was probably spoofed. We recommend that you do not attempt to contact any persons or organizations referenced in this email, as you may expose yourself to scammers and, at the very least, you will be added to their email address lists for spam purposes.